DUNMORE EAST: 2 Chiffchaffs nr main strand. KILMEADEN POOLS: 2 Water Pipits*. DUNGARVAN: Male Goosander opposite the Mart at Ballyneety, Carrion Crow at the 'Lookout' (near site of old Tannery). HELVICK HEAD: 1 Black-throated Diver*. COOLFIN/DERRIGAL: 2 Pink-footed Geese, 193 Greylag Geese, 6 Whooper Swans at Darrigal Cross-roads (grid ref S490135); 1 Green Sandpiper & 1 Kingfisher at Clodiagh Bridge. FIDDOWN/TIBBEROUGHNY: 2 Little Egrets, 88 Greylag Geese (additional to Coolfin birds), 32 Whooper Swans, 185 Teal, 750 Golden Plover. KNOCKADERRY RESERVOIR: Female Shoveler, 12 Tufted Duck, 27 Wigeon. DUNGARVAN: Female/immature Goosander opposite the Mart at Ballyneety. TRAMORE BACKSTRAND: 18 Little Egrets in Summerville / Ballinattin area. KILMEADEN POOLS: 1 Water Pipit*. DUNGARVAN (I-WeBS count): Totals included 40 Great Crested Grebes, 799 Brent Geese, 371 Shelduck, 274 Wigeon, 234 Teal, 1 Pintail, 3 Goosanders (2 males & a female at Ballyneety opposite Mart), 1 Long-tailed Duck (Gold Coast/Kilminnin), 1 Common Scoter (Ballynagaul), 118 Ringed Plover, 5800 Golden Plover, 446 Knot, 65 Sanderling, 2342 Dunlin, 559 Black-tailed Godwit, 1083 Bar-tailed Godwit, 1Whimbrel (Ballynagaul), 756 Redshank, 29 Greenshank, 1 Common Sandpiper (Kilminnin), 284 Turnstone (full details). Also 1 Merlin & 49 Hooded Crows at the Cunnigar. KILMEADEN POOLS (grid ref S5108): 1 Water Pipit*. 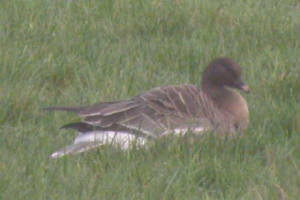 COOLFIN/DERRIGAL: 1 Pink-footed Goose, c.200 Greylag Geese & 8 Whooper Swans. BALLYVOONEY COVE: 2 Purple Sandpipers. DUNGARVAN: Male Goosander (Ballyneety), 1 Green Sandpiper (Brickey River), 2 Black Redstarts (town quay & Ballynagaul pier, & 4 wintering Common Sandpipers (2 at Barnawee, 2 at Ballyneety). HELVICK HEAD: 1 Black Redstart. 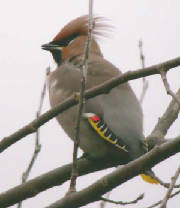 ABBEYSIDE, DUNGARVAN: 4 Waxwings still present at Southways estate. TRAMORE BAY: 500 Gannets feeding. BALLINARD, nr Clonea: 1 Chiffchaff. Near CROUGHAUN (Comeragh/Monavullagh Mountains): 7-8 Crossbills. 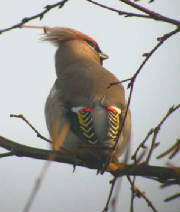 ABBEYSIDE, DUNGARVAN: 4 Waxwings still present at Southways estate (grid ref S264937). BLACKWATER CALLOWS: 4 male Shoveler, 100+ Teal , 300+ Wigeon, 1 Chiffchaff, 2 Jays, Lismore-Ballyduff; 202 Whooper Swans, 2 Blackcaps, Ballyduff. 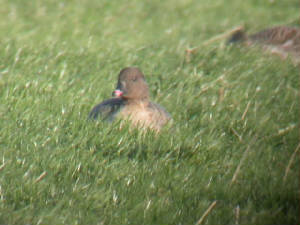 COOLFIN/DERRIGAL: 1 Pink-footed Goose, 213 Greylag Geese, 6 Whooper Swans at Darrigal Cross-roads; 1 Green Sandpiper at Clodiagh Bridge (S479150). KILMEADEN POOLS: Male Shoveler, 1 Water Rail, 1 Green Sandpiper, 1 Dunlin, 1st-w Mediterranean Gull, 1 Chiffchaff. 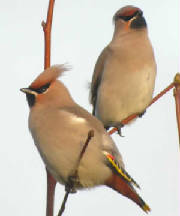 ABBEYSIDE, DUNGARVAN: 4 Waxwings at Southways estate. TRAMORE BOATING LAKE: 1 Little Egret, 1 Pochard, 250 Black-tailed Godwits. BALLYSHUNNOCK RESERVOIR: 5 Gadwall, 24 Tufted Duck. TRAMORE BACKSTRAND (I-WeBS count): Totals included 14 Little Egrets, 427 Brent Geese, 109 Wigeon, 379 Oystercatchers, 200 Grey Plover, c.4000 Golden Plover, 426 Curlews, 378 Black-tailed Godwits, 263 Bar-tailed Godwits, 790 Dunlin, 22 Knot, 1 Little Stint, 304 Redshank, 24 Greenshank (full details). Also 2 Merlins & 510 Lesser Black-backed Gulls. BUNMAHON: 1st-winter Pomarine Skua flew E, 1 Long-tailed Duck. CLONEA: 7 Purple Sandpipers at Ballinclamper. BALLYVOONEY COVE: Male Surf Scoter* (presumably last winter's drake returned), 9 female Common Scoters, adult Mediterranean Gull. BUNMAHON: 2 Mediterranean Gulls (adult & 1st-winter). KILMEADEN POOLS: 1 Green Sandpiper. KNOCKADERRY RESERVOIR: 6 Whooper Swans. CLONEA/BALLINARD: 2 Tree Sparrows still present at Ballinard; 2 Purple Sandpipers & 1 Chiffchaff at Ballinclamper. BUNMAHON: 3+ 1st-winter Mediterranean Gulls. DUNMORE EAST: 26 Purple Sandpipers. TRAMORE BOATING LAKE: 2 Little Egrets. COOLFIN/PORTNASCULLY (Waterford/Kilkenny - both sides! ): 1 Green-winged Teal, 290 Teal, 120 Greylag Geese, 5 Little Egrets. FIDDOWN/TIBBEROUGHNEY: 3 Little Egrets on Kilkenny side. 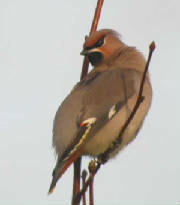 BALLINARD, nr Clonea: 2 Tree Sparrows. THE CUNNIGAR, DUNGARVAN: 1 Chiffchaff. WHITING BAY: 1 Hen Harrier. ARDMORE: 1 Great Northern Diver, 1 Blackcap, 1 Chiffchaff. HELVICK HEAD: 1 Black Redstart, 7 Blackcaps, 70+ Magpies. DUNGARVAN: l Long-tailed Duck in the bay, 1 Mediterranean Gull at Ballyneety, 320 Brent Geese & 1 Black Redstart at the Cunnigar. DUNGARVAN BAY: 1 Long-tailed Duck. BALLYNACOURTY/CLONEA: 7 Great Northern Divers, 1 Red-throated Diver, 1 Merlin, 1 Whimbrel, 15 Choughs. 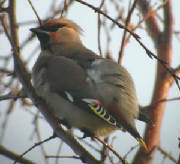 Note: Sightings listed here are reports, not necessarily authenticated records (* = species for which the Irish Rare Birds Committee required descriptions up to 31 December 2004). Records are regularly updated, and older records added or amended where necessary . Many thanks to observers who provided records above - any further records (current or older) would be appreciated.